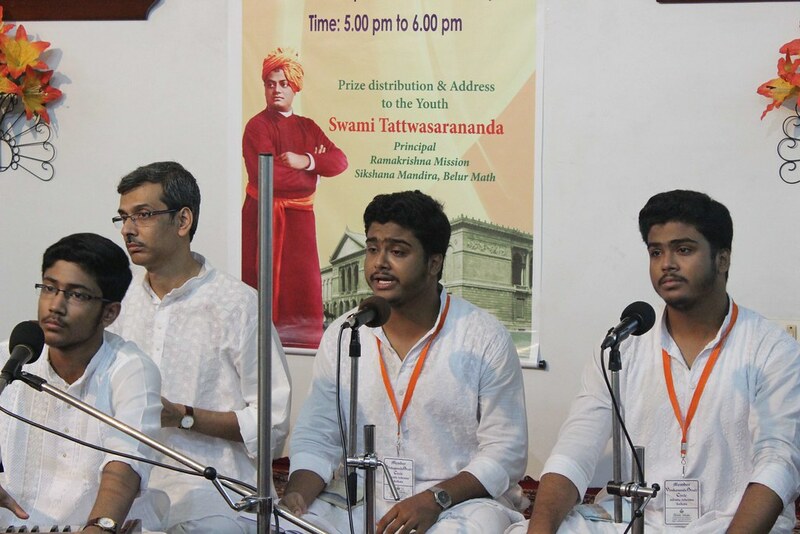 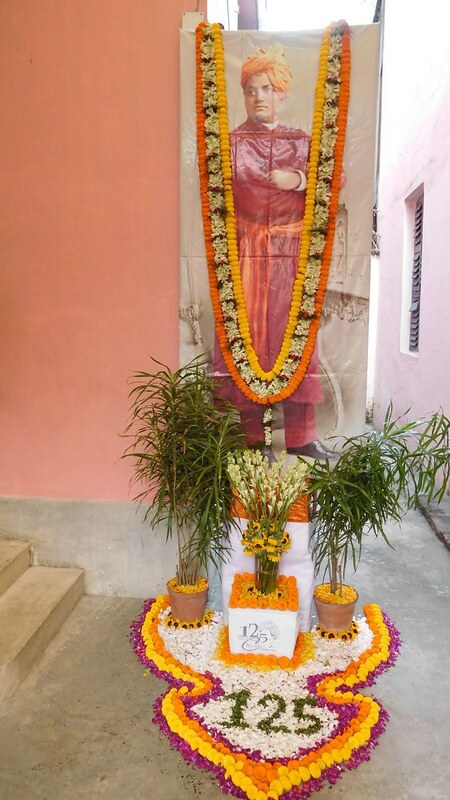 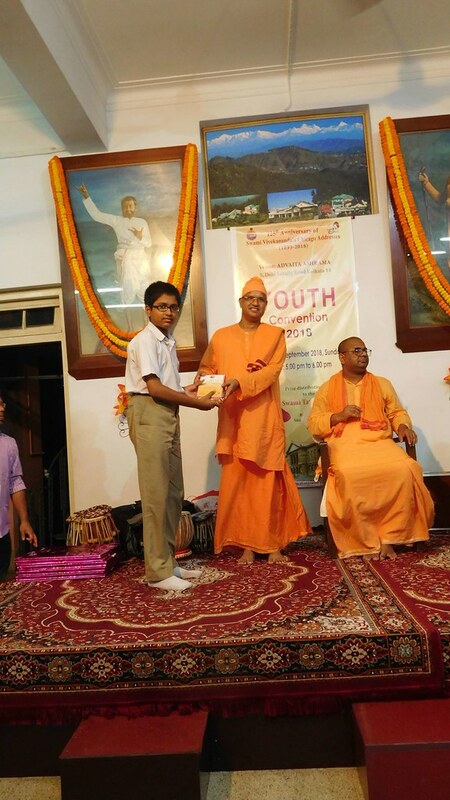 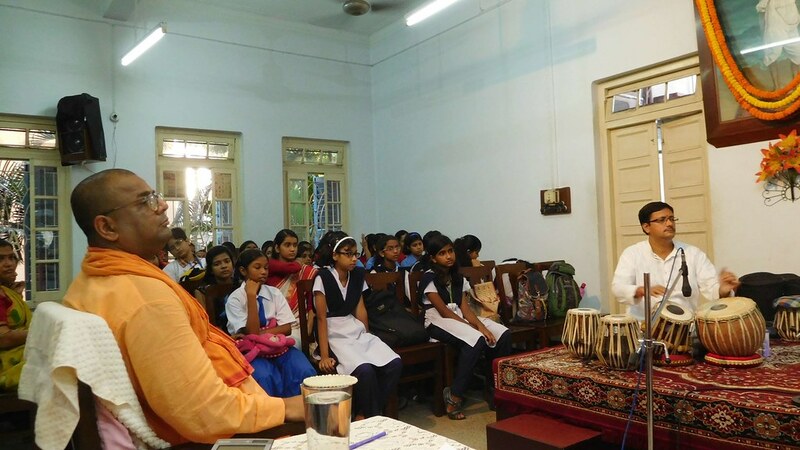 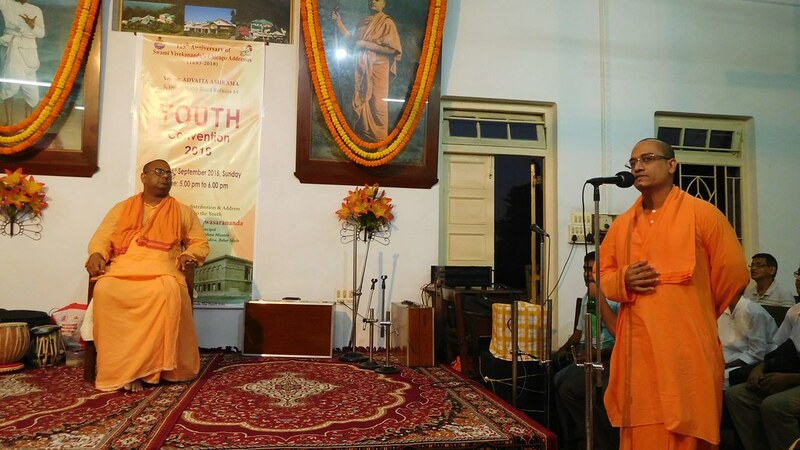 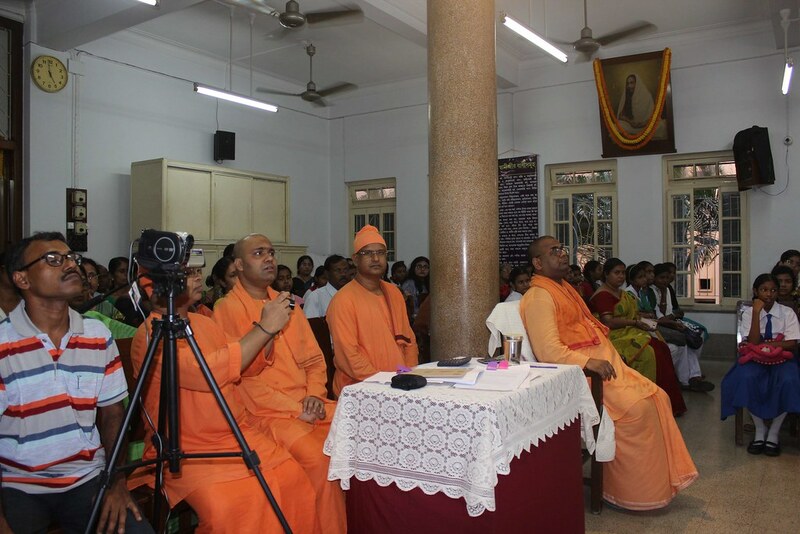 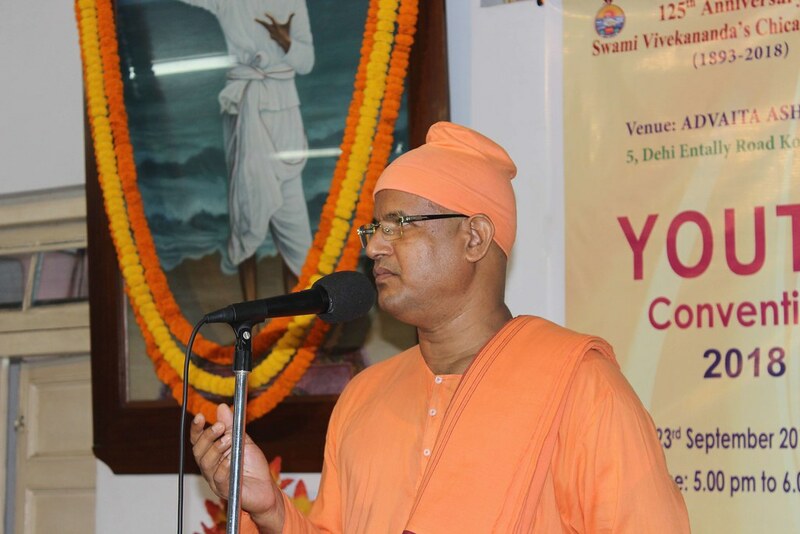 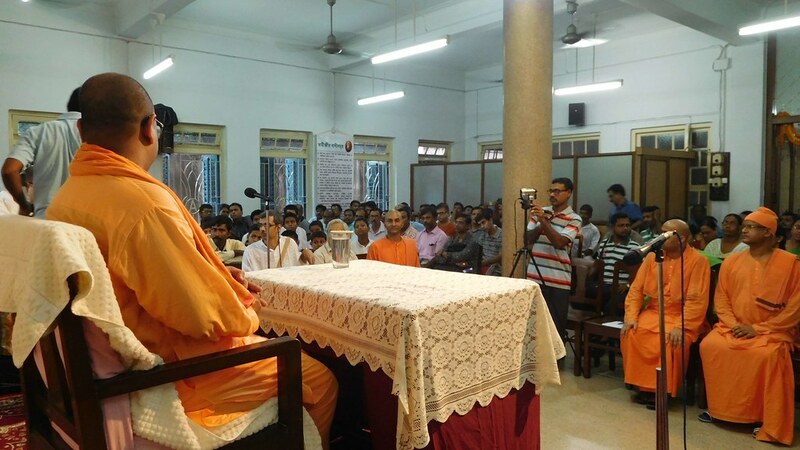 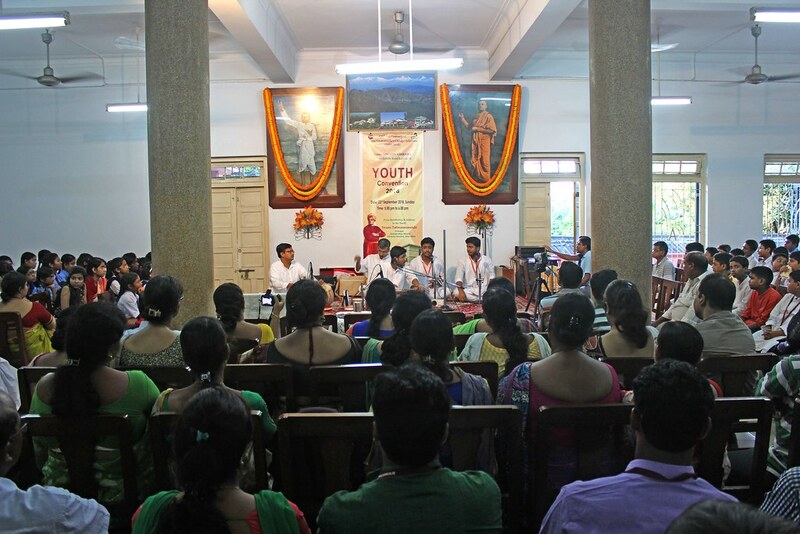 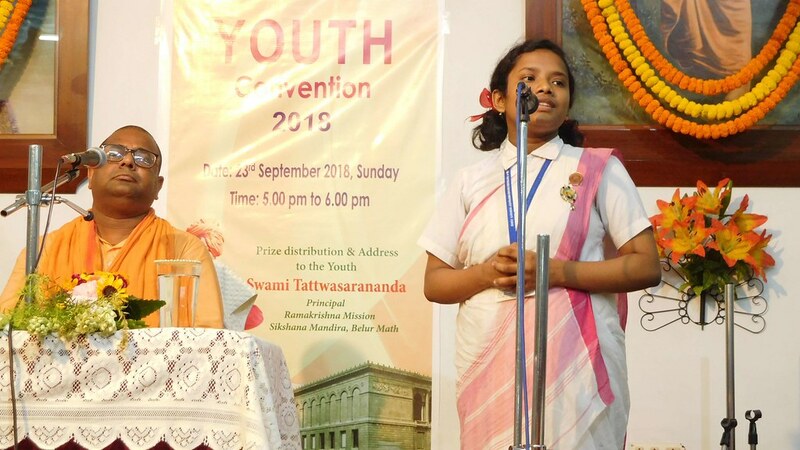 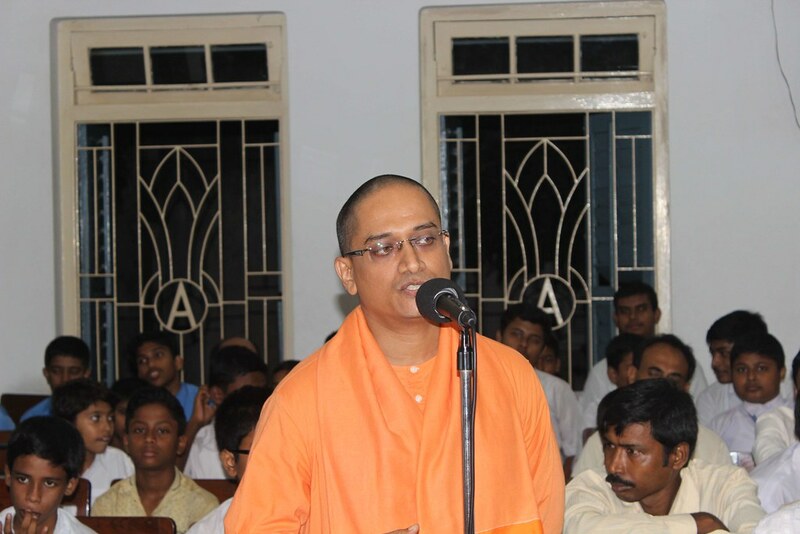 Advaita Ashrama, Kolkata, conducted a Youth Convention to commemorate the 125th Anniversary of Swamiji’s Chicago Addresses on Sunday, 23 September 2018. 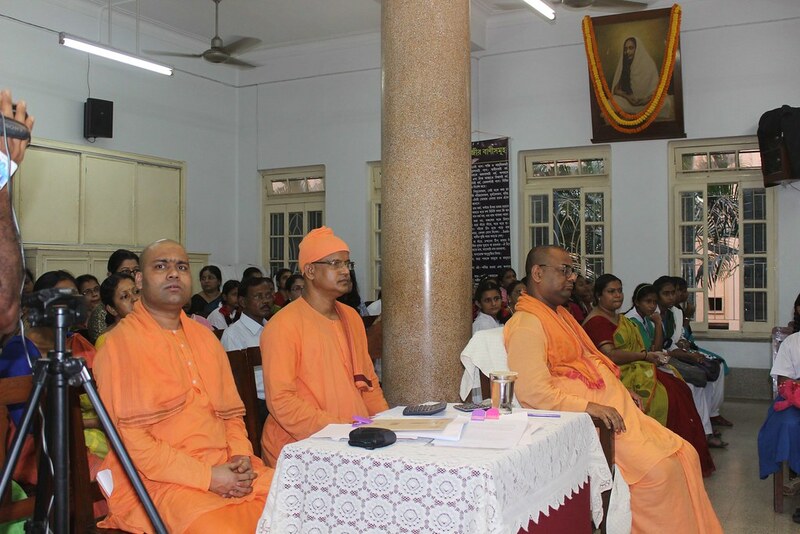 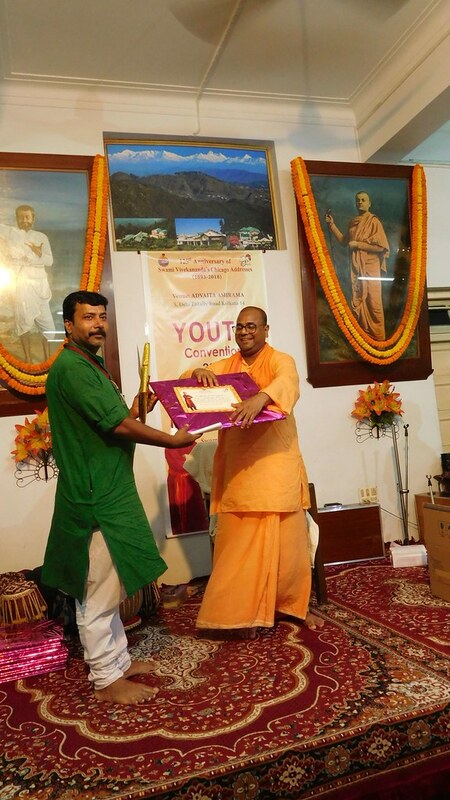 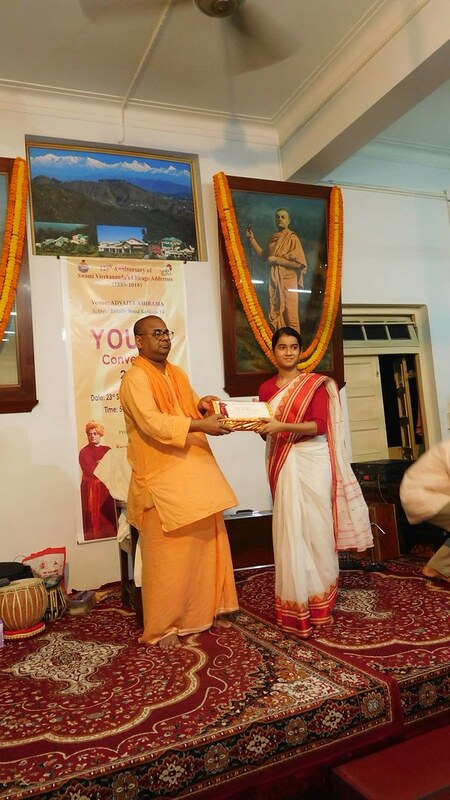 Swami Tattwasarananda, Principal, Ramakrishna Mission Shikshan Mandira, Belur Math, was the Chief Guest. 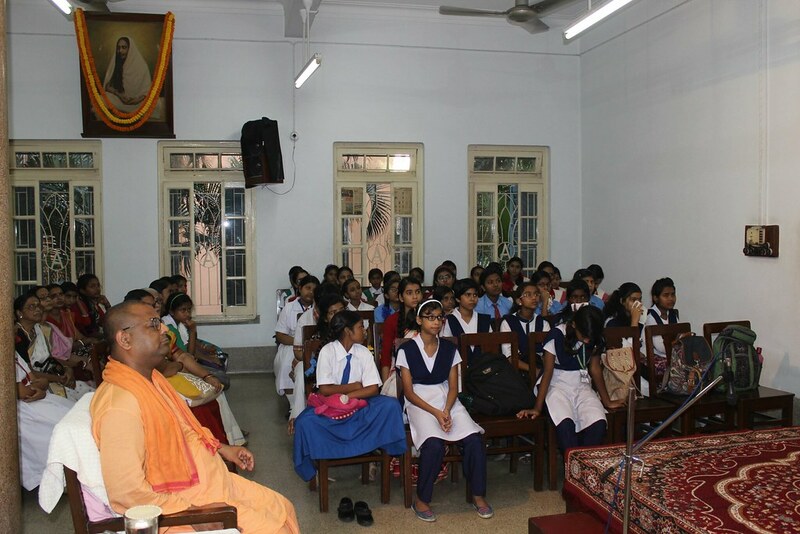 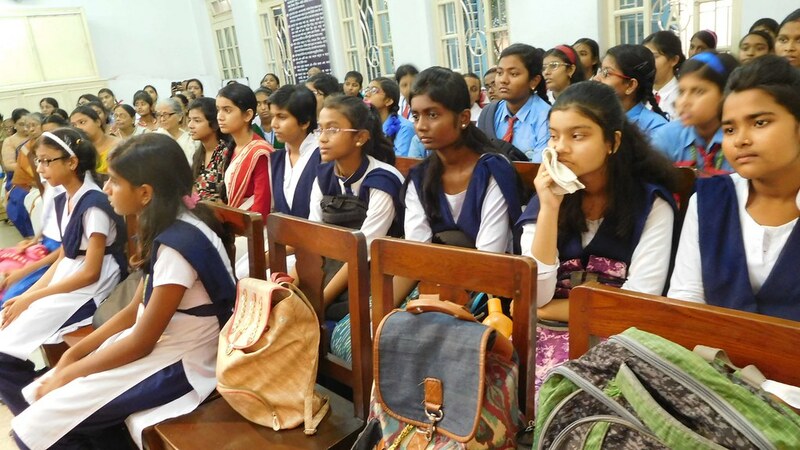 Around 3350 students from 13 institutions in and around Kolkata participated in the entire program. 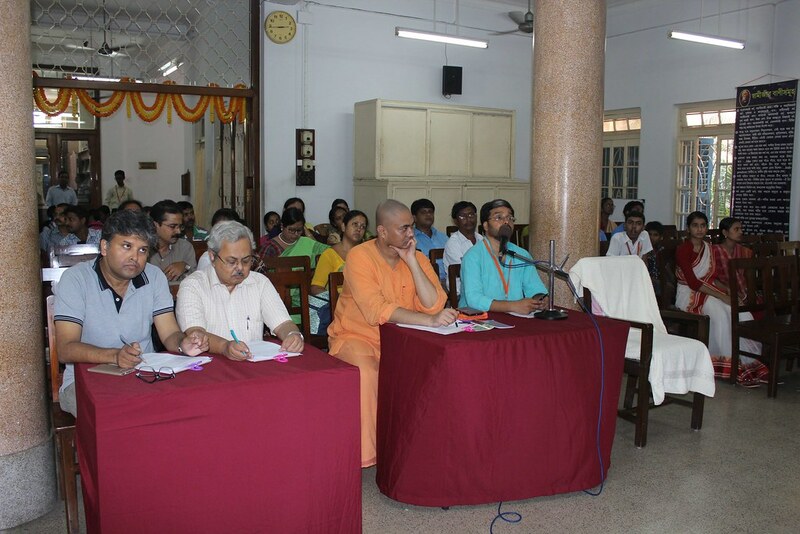 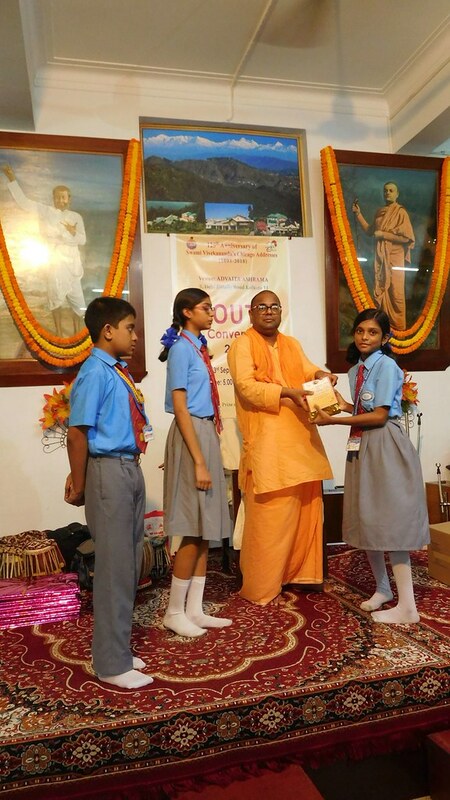 Earlier this month,written quiz and recitation competitions based on Swami Vivekananda’s Chicago Addresses were conducted in the institutions. 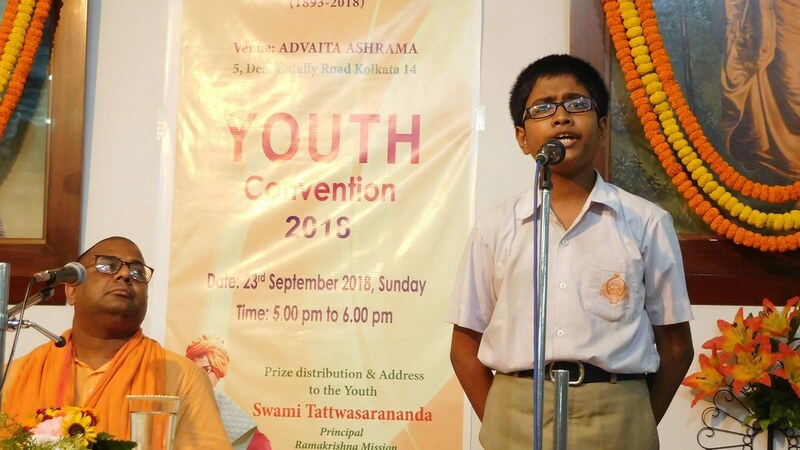 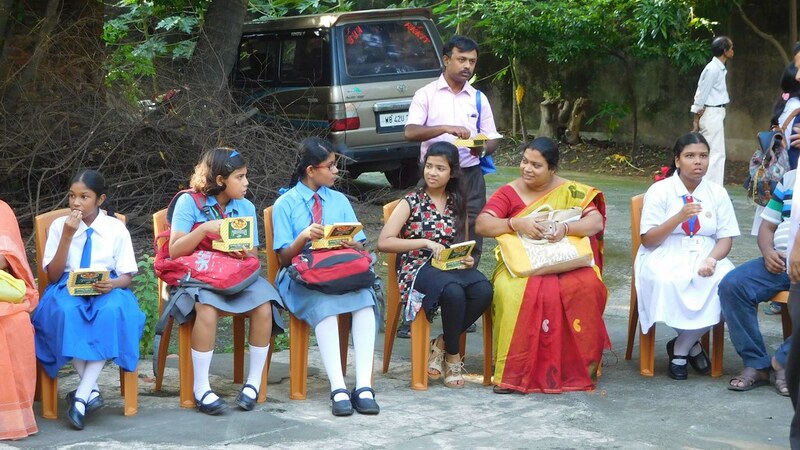 Around 300 winners of this first round competition were invited to Advaita Ashrama to participate in the Inter-School Competition in the afternoon of 23 September 2018. 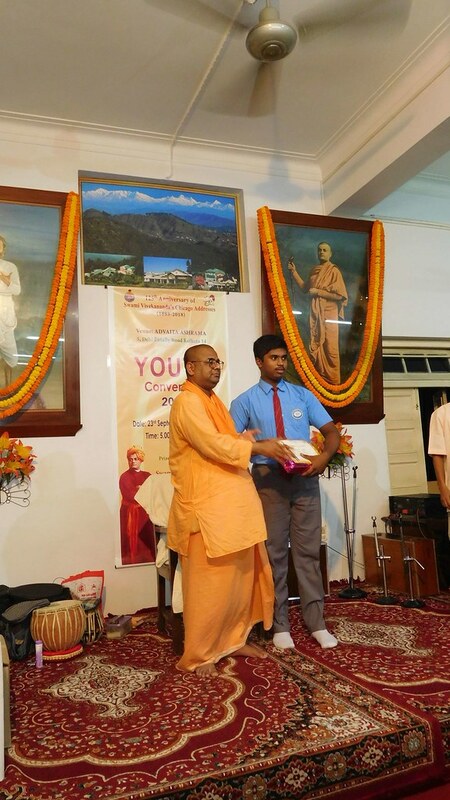 All these students were felicitated during the Youth Convention and winners of the final round were given special prizes. 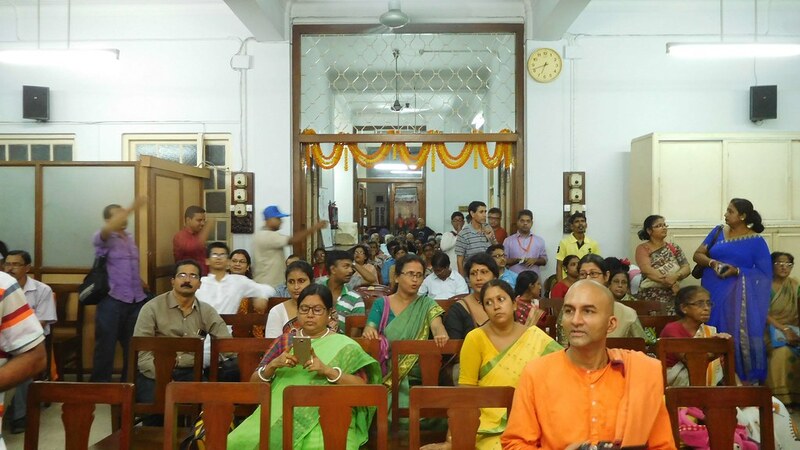 Teachers, parents and devotees were also present. 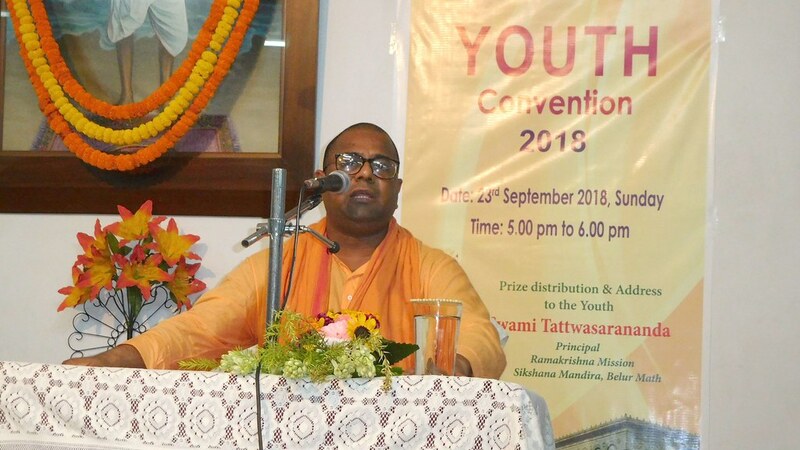 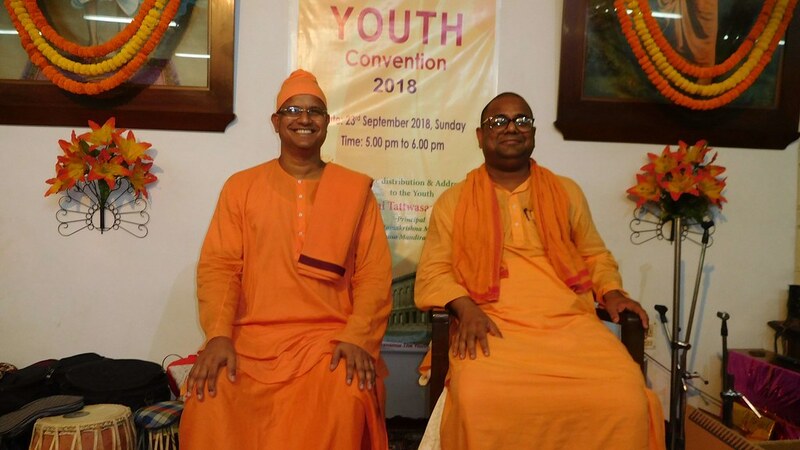 The Youth Convention began with an opening song by the members of the Vivekananda Study Circle, Advaita Ashrama, followed by a Welcome Address by Swami Vibhatmananda, Manager, Advaita Ashrama, Kolkata. 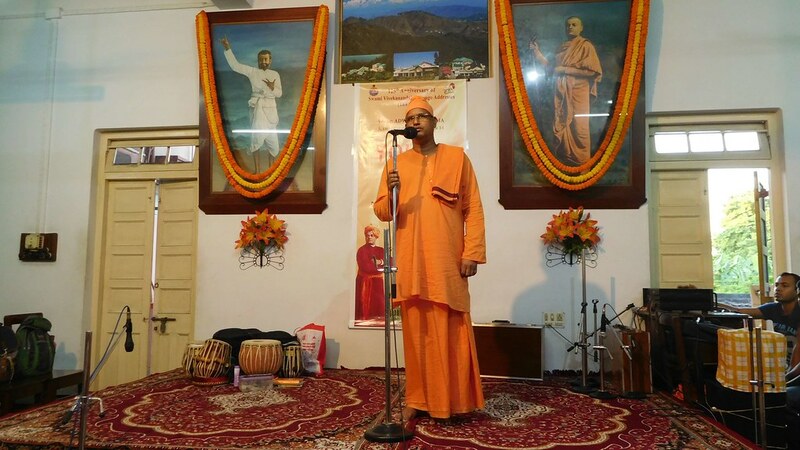 The Chief Guest Swami Tattwasarananda spoke well on the importance of Swami Vivekananda Chicago addresses stating how it was a turning point in the religious history of the world. 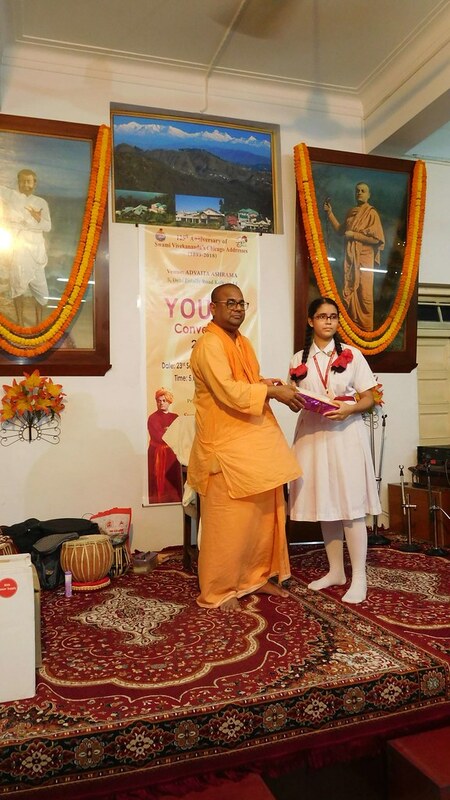 Maharaj also inspired students to study Swami Vivekananda’s literature for their wholesome development as well as to be better citizens of our country. 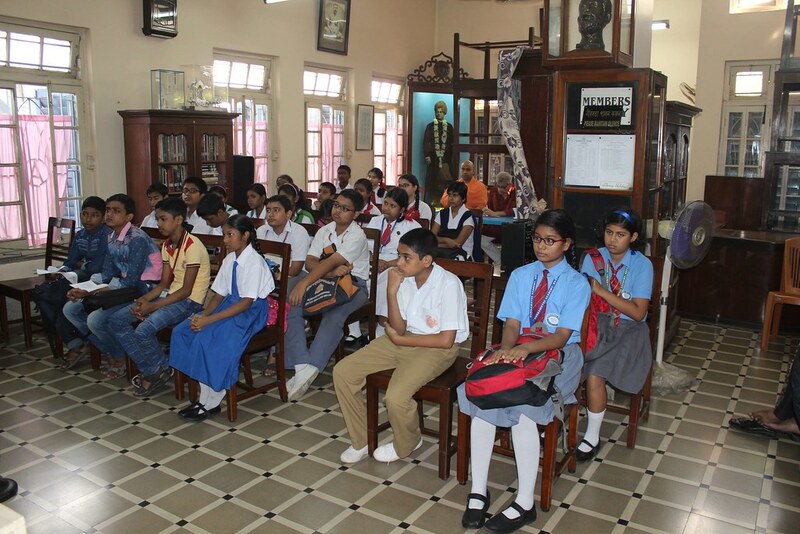 The students who stood first in the recitation competition recited the first two speeches of Chicago Addresses to the great admiration of all. 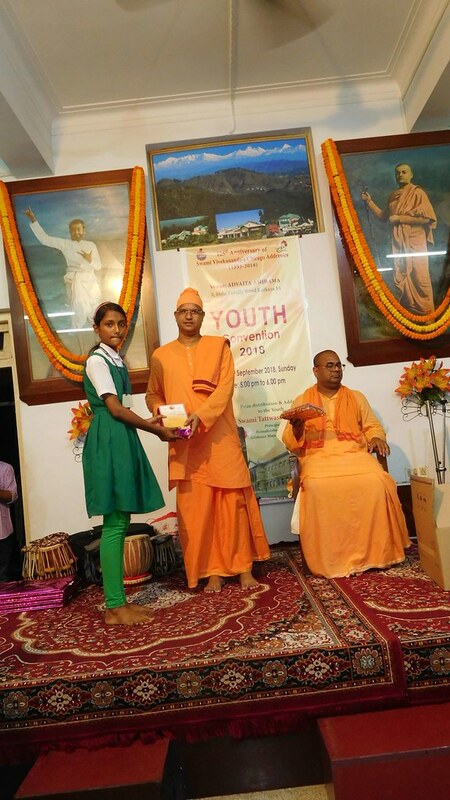 This was followed by prize distribution ceremony. 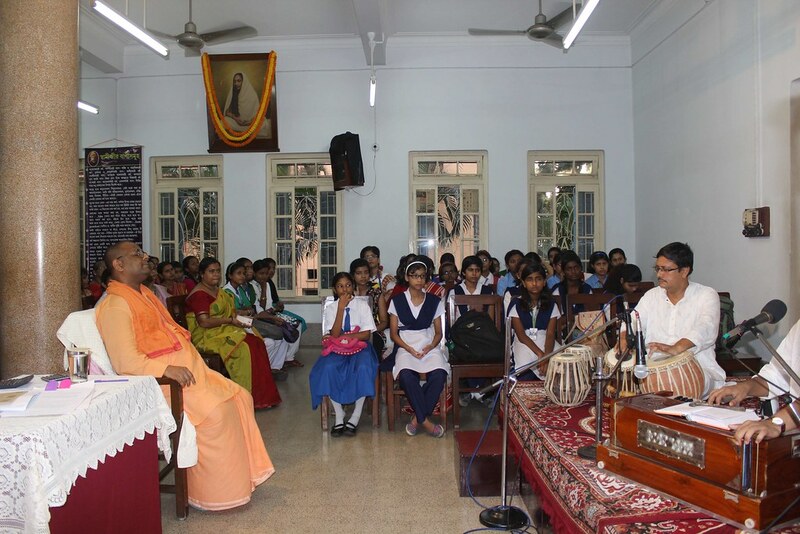 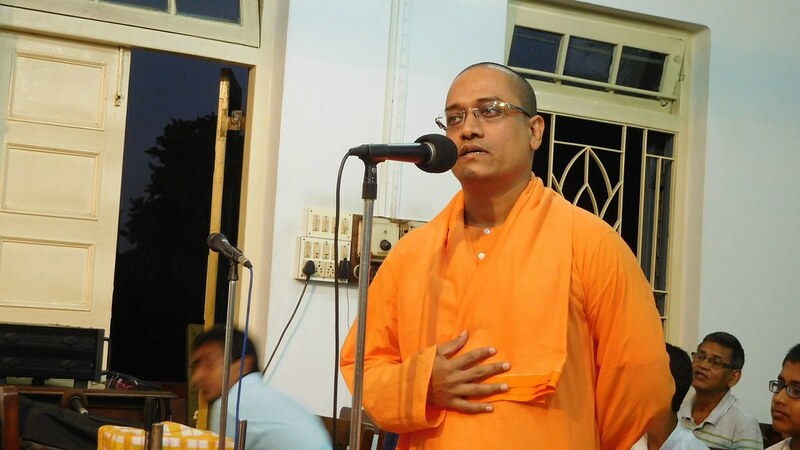 Swami Ishtadhyanananda presented the Vote of Thanks, followed by a Closing Song by members of the Study Circle. 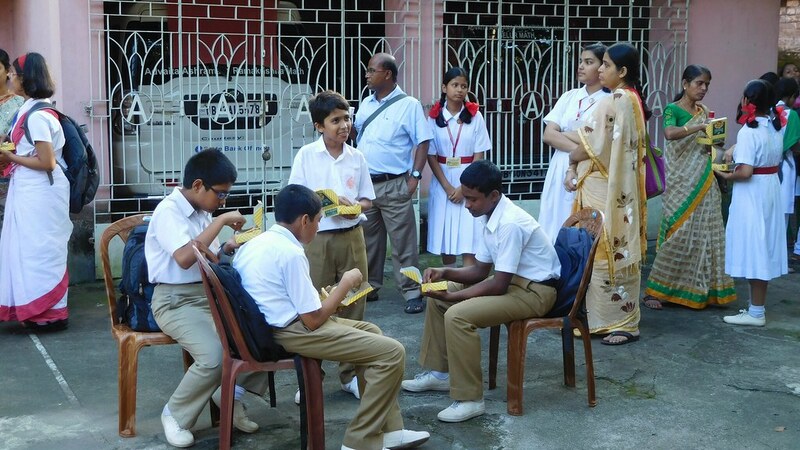 Tea and Snacks were given to all the students and their guardians. 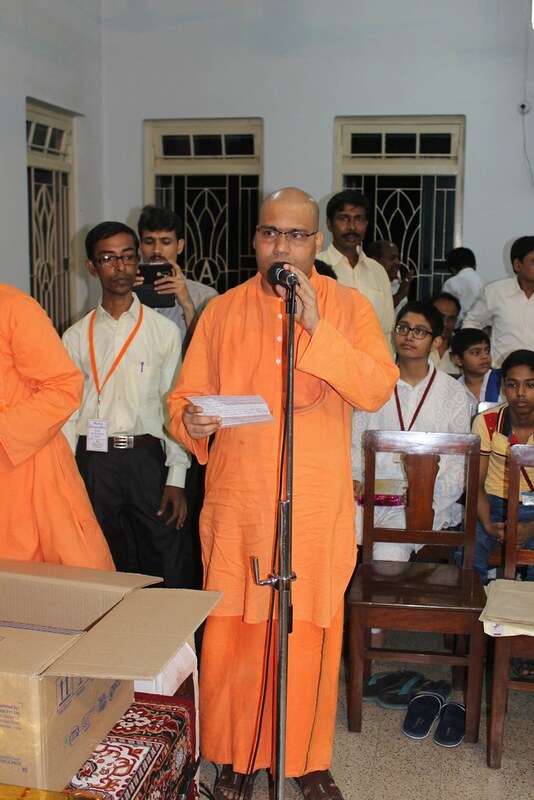 Swami Shantachittananda was in charge of organizing the programme and it was conducted smoothly and flawlessly. 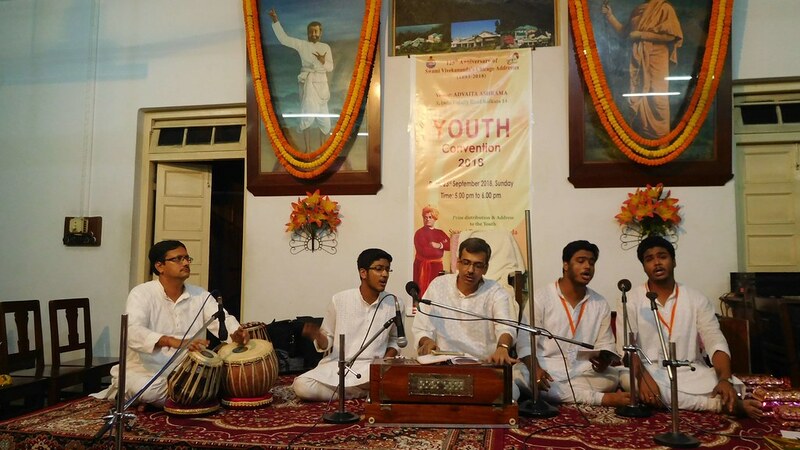 Overall, the function was a grand success in the dissemination of Swami Vivekananda’s ideas among the youth.